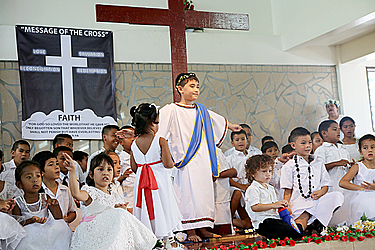 A sea of white was the scene all over Samoa as the country celebrated White Sunday. 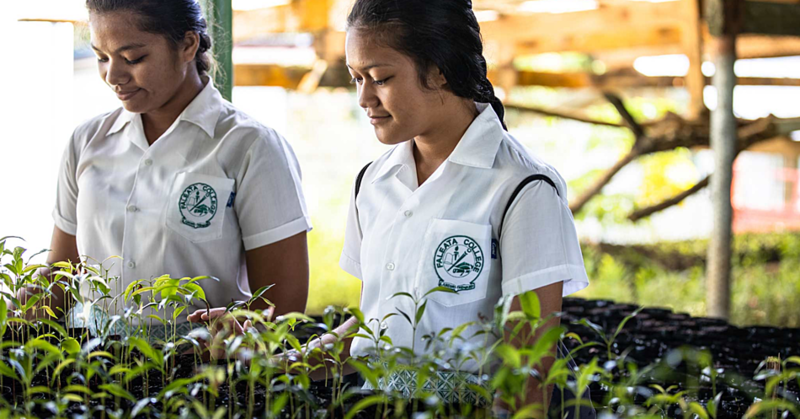 It’s not every day that is set aside specifically for the children and like all other celebrations, Samoa went all out. After many long weeks of preparations and hours of practices, the day finally came where the children were called upon to recite their memorized verses, entertain the crowed with their skits and show off their brand, new, white outfits. At Apia Protestant Church, members of the congregation gathered in the hall to see their children perform great stories from the Bible. There was much laughter at the innocence of young children as they discussed on stage whose turn it was to speak next on the microphone. And then there were those moments where the children did their own thing during skits. There were those who were very outgoing and gave their all when reciting their verses and of course let’s not forget the funny shy ones who were overcome and froze up and then refused to speak on the microphone. But what was most important was the messages the young ones instilled in the hearts of the older folks. Messages of God’s faithfulness and grace; messages of the Lord’s goodness and the messages of sacrifice. 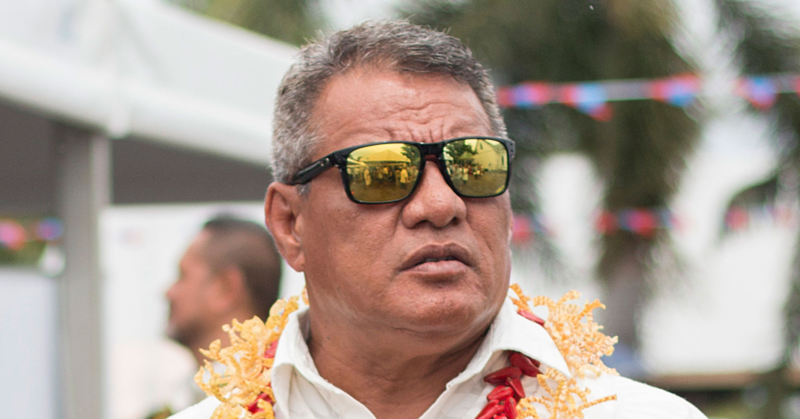 Many agree that it’s great to see how seriously Samoa takes the celebration of young, innocent children. And yes, there is always that massive feast after church to fill the small tummies and then the satisfying nap after.